A business card is such a simple little thing designed to help share contact information with others, but that’s not all they can be used for. 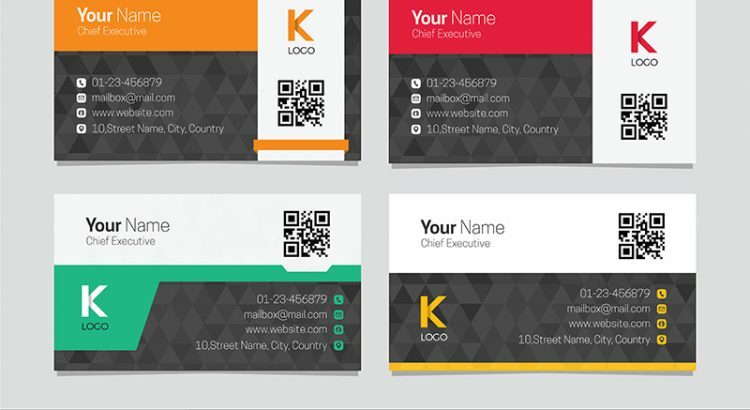 A good business card will also be a form of marketing for your business. A properly designed business card will offer information as well as help market you and your business to better help grow your business, while setting you apart from the rest. The first part of a card is you. To make it easier for someone to remember you and relate you to your brand add a picture to the card. A picture can help make your card stand out against cards with only text, and it offers a personal touch that will help link your image with the brand or business. Keep your card on task by making sure you do not include too much on the front of the card. Make it easy to see your name, your information, and your business without a lot of extra designs or elements that can take away from the main information that you want to share with others. This will allow people to quickly identify who you are and what business you are with as well as the easiest way to get a hold of you. Finding out who uses your card or make use of your card is hard unless someone directly contacts you. An excellent solution in today’s world is to include a QR code that is small enough to not detract from the overall card, but can take a person to a website. Offering specials for those that use the QR code can entice people to use it, and a little reminder to someone to get in on those deals will also give you a chance to track who ends up using the code. Those that engage will be easier to spot as the QR will offer you statistics of how many people are checking it out, and making uses of your offers or information. Remember that the card has two sides and make uses of that. With one side being the all business side with information, use the back side to make your card a bit more unique. You can do this by adding a cool design or by adding little factoids or your support of a charity or cause. This can help engage the person on the other end and make your card more memorable to them. Finally remember to give them out not just face to face but whenever it makes sense. If you are sending out invitations to an event, sending out invoices or when you ship a product make sure to pack that card in to give you extra exposure.